An attic can be a breeding ground for mold due to many reasons such as over insulating, poor ventilation, lack of circulation, exhausts from bathrooms being vented into the attic and roof leaks. Too often when a home owner gets a leak from their roof, they address the leak, but overlook the damage it causes. 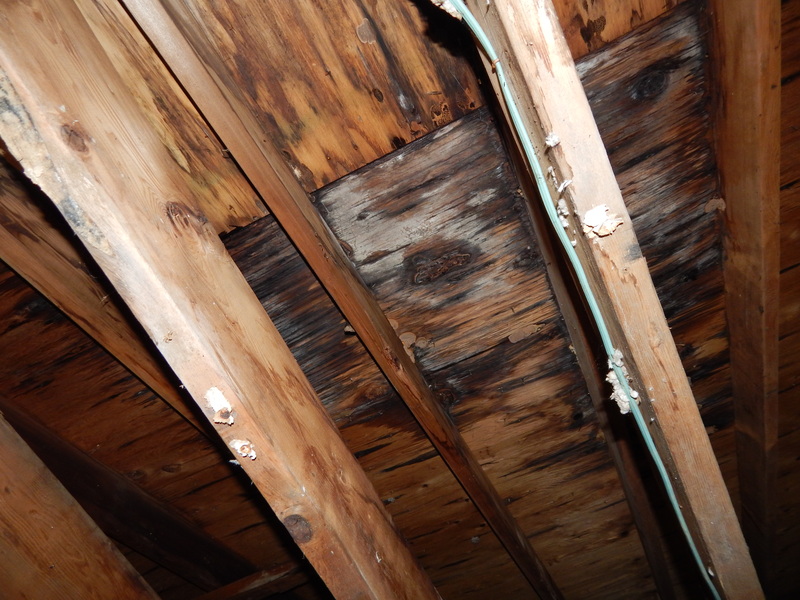 Once mold starts to grow in an attic, it can easily spread causing major damage that can be quite costly. So, if you should have a leak from your roof, don’t forget to have the checked to avoid what could become a major mold remediation job.